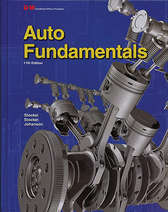 This full-credit course uses the textbook, Auto Fundamentals, (© 2015). 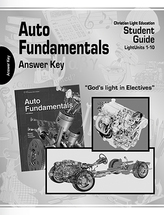 The text covers design, construction, and operation of automotive systems. 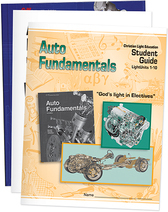 The study guide leads the student through this one-credit course, using the Auto Fundamentals workbook. Ten LightUnit tests are provided.